Sewage backup are not only cause by heavy rains. It is a truth universally acknowledged that nobody wants to deal with a sewer backup, especially after a summer thunderstorm. If your home gets standing water in the basement after heavy periods of rain, there is a chance that you might be experiencing a sewer backup instead of simple basement flooding. Why Do Sewer Backups Happen? Before you can prevent sewer backups, you need to understand what exactly causes them (besides just rain). During periods of heavy rain, municipal sanitary sewers can become overloaded with a greater volume of water than they can handle. Most municipal sewer systems are gravity fed, so all of the water overwhelming the system is forced back into the sewer line. This flood of water can enter your basement or low lying drains as sewer lines are filled up with water going the opposite direction it typically does. The water in sewers is not yet treated and can be contaminated with all sorts of things you certainly don’t want your family around, so large quantities of it entering your home can create a huge problem the longer the water sits. The first rule of a sewer backup? Do not walk into any area with standing water or touch any standing water. Now that you know that sewer backups don’t just sound bad, you should explore the ways to stop one from happening to you. One of the easiest and best ways is by using a sewer backup prevention system. These systems are professionally designed and installed by contractors or licensed plumbers like the experts at Master Plumbing & Mechanical Inc. Never attempt to design and install a sewer backup prevention system on your own, as that do-it-yourself project will almost certainly end with a costly call to the plumber. 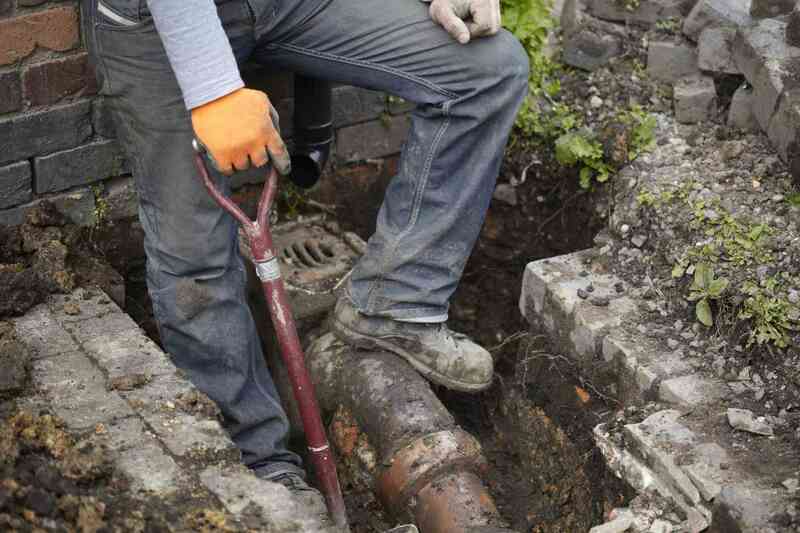 Sewer backup prevention systems typically begin with the installation of a double or triple-valve system. These typically come with warranties that will ensure speedy and correct replacement if anything goes wrong over time. Systems are typically installed in your front yard, but they can occasionally be installed elsewhere depending on your home’s layout. They have been continually improved and re-designed over time to be almost unnoticeable in your yard, so nobody has to know but you! The valves will be installed in the sewer lines themselves, so that when the sewer is overloaded and water is flooded back through the pipes towards your home, the valves will shut and stop any sewage from entering your home’s pipes. Even better, you will be able to use your household plumbing even when sewer backup conditions are occurring outside of your home. Ready to Prevent a Sewer Backup From Giving You a Headache? Give Master Plumbing a call at (301) 650-9100 or contact us online to get more information on how our expert plumbers can help you with preventing sewer backups in your home. We have received Angie’s List Super Service Award recognition for plumbing and drain cleaning every year since 2007, in addition to the Best Plumber award from Best of Bethesda. We are fully licensed, bonded, and insured and our service is unparalleled. Give us a call today—you won’t regret it! To see examples of our projects, follow us on Facebook, Twitter, and Pinterest. This entry was posted on Friday, August 19th, 2016 at 6:46 pm. Both comments and pings are currently closed.